Perfect for that beach babe friend of yours! This sea salt spray will give her hair the ultimate beach wave look. Share this one with a friend and help keep the ocean safe and plastic-free. This set contains your reusable utensils all snuggled up in your canvas sip burrito wrap. Jam on your favourite music while on the road! Designed for both music and nature lover, this handmade wood amplifier is perfect for that music-savvy traveler friend of yours. Support local artisans by sharing this beautiful craft with your friends. 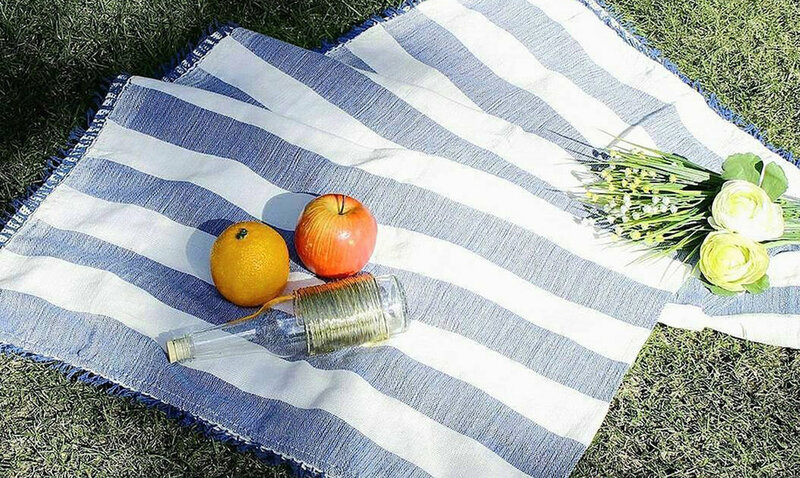 This multi-purpose blanket is the perfect item for that one friend who goes from a picnic date to island hopping. Talk about the perfect present for your favourite jet-setters! Help your travel buddies have hassle-free and hair-free adventures with Wink's laser treatments. Not so sure what treatment they like? Why not give them a gift card instead.